Black Panther. Ruler of Wakanda. Avenger. This is no prestigious private academy-they've been enrolled at South Side Middle School in the heart of Chicago. Despite being given a high-tech suit and a Vibranium ring to use only in case of an emergency, T'Challa realizes he might not be as equipped to handle life in America as he thought. Especially when it comes to navigating new friendships while hiding his true identity as the prince of a powerful nation, and avoiding Gemini Jones, a menacing classmate who is rumored to be involved in dark magic. 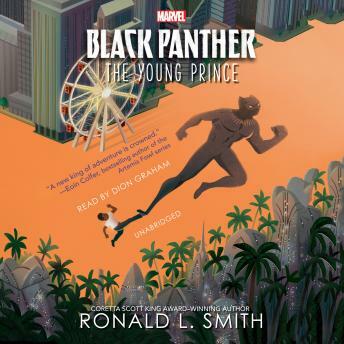 When strange things begin happening around school, T'Challa sets out to uncover the source. But what he discovers in the process is far more sinister than he could ever have imagined. In order to protect his friends and stop an ancient evil, T'Challa must take on the mantle of a hero, setting him on the path to becoming the Black Panther.